The 100th Day of School is already right around the corner! 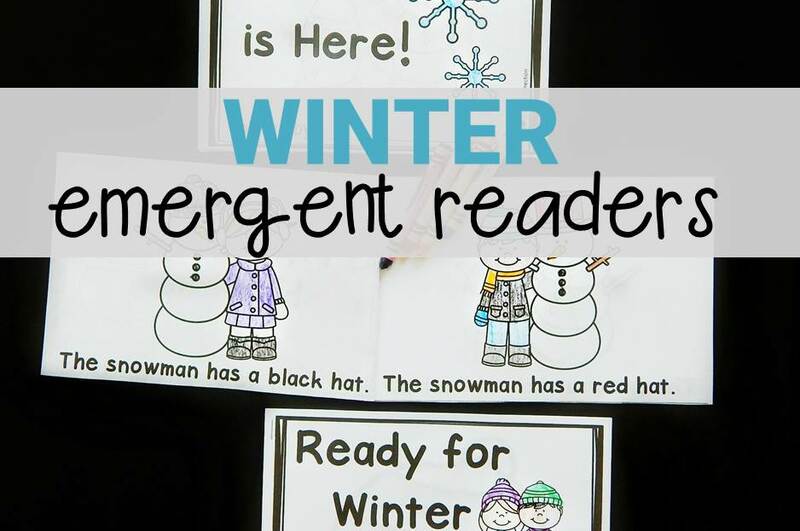 These engaging reading activities can help make the entire school day special. 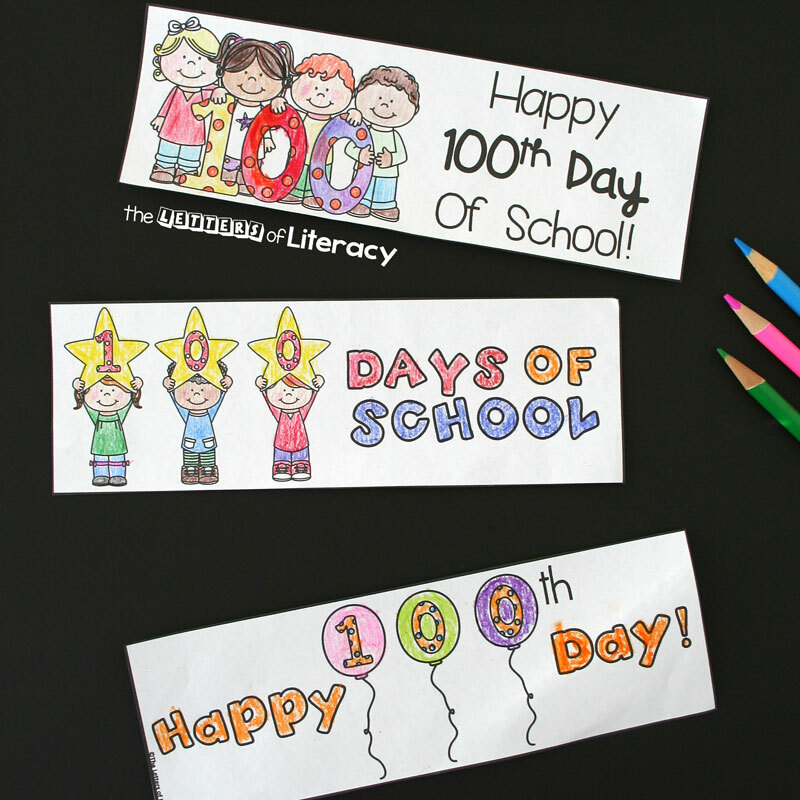 We’re sharing free 100th Day of School bookmarks for students to color, and a long list of other ideas too. 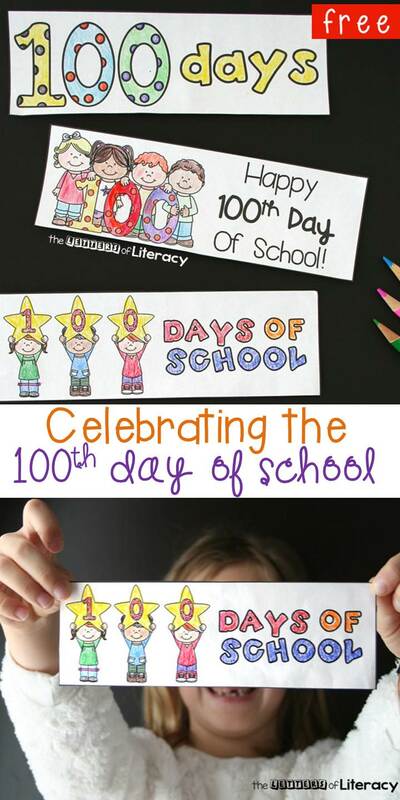 I usually think math when I think about celebrating 100 days of school. 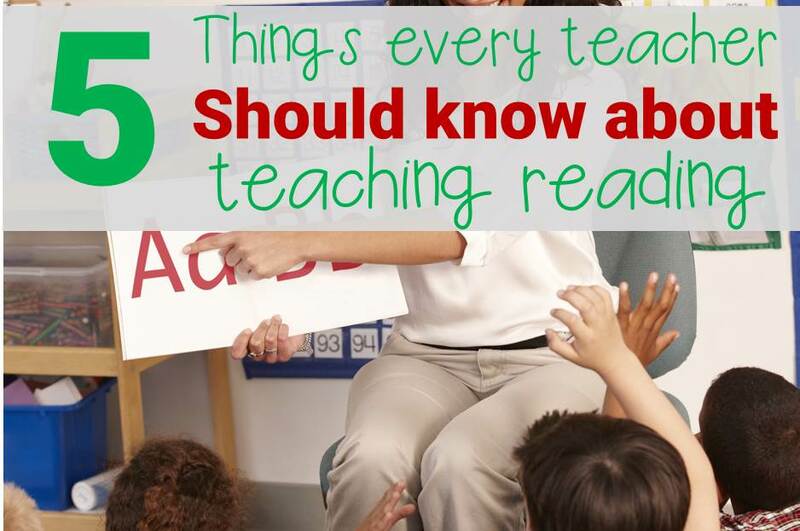 Yet, it’s also about celebrating accomplishments – and that can certainly include reading. 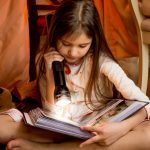 Whether your kiddos are just beginning to read, or moving on to chapter books, they’ll enjoy several of these activities. Students of all ages are sure to love these adorable (and free!) printable bookmarks. You can download them at the bottom. My girls and I enjoyed giving them a test drive. 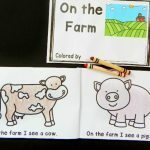 We got out the colored pencils as well as the crayons, and had fun brightening up every detail. 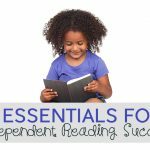 Have students work as a class or grade level to choose 100 books that they’ve enjoyed so far this school year. Stack up the books in groups of ten. Then, let them take turns adding books to a single towering stack. Marvel at your joint accomplishment! We tested this idea out – it helped to have some hardback books to give it stability. For older kids with thick chapter books, I recommend you stack the books in a corner to get wall support on two sides. Here’s a simple idea if you keep a word wall. Look to see if you have anywhere near 100 words on it. If you’re close, add or subtract a few to get exactly 100. Then, count and read them together. 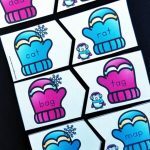 Pull out 100 sight word cards and read them together, placing them in groups of ten. Write out the 5 vowels twice – once for short vowels and again for long vowels. 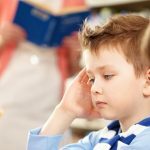 Then, as a class think of ten words for each. 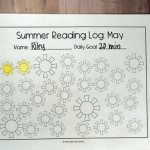 Do you keep a class reading log of books you’ve read aloud? 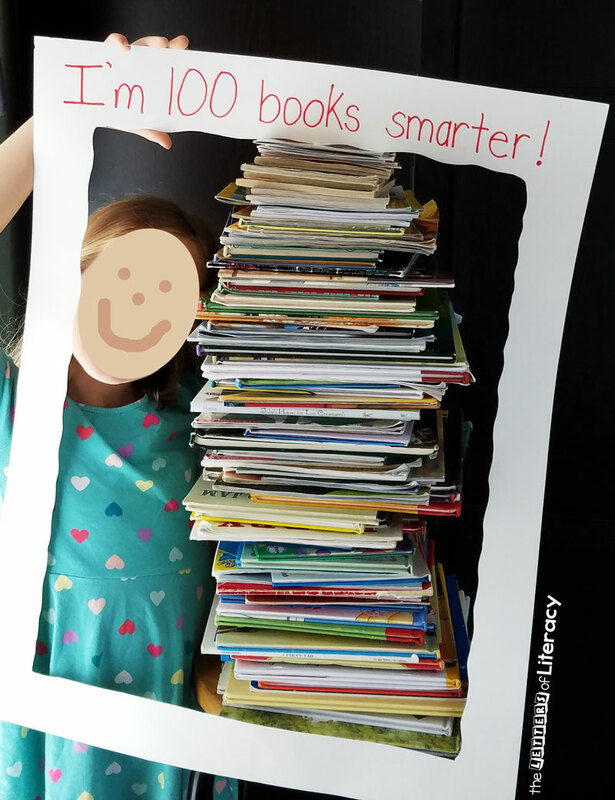 Go over it together and count how many you’ve read in 100 days. Pull ten short 1-10 counting books from the library and read them all aloud, perhaps spaced throughout the day. Draw on the board to illustrate that 100 is made up of ten groups of ten. Count out 100 plastic letter magnets. Name each letter and its sounds as you go. 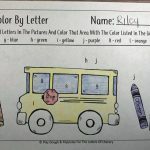 I hope you enjoy your 100 Days of School celebration. Sometimes it’s the invented holidays like this one that are the most fun! 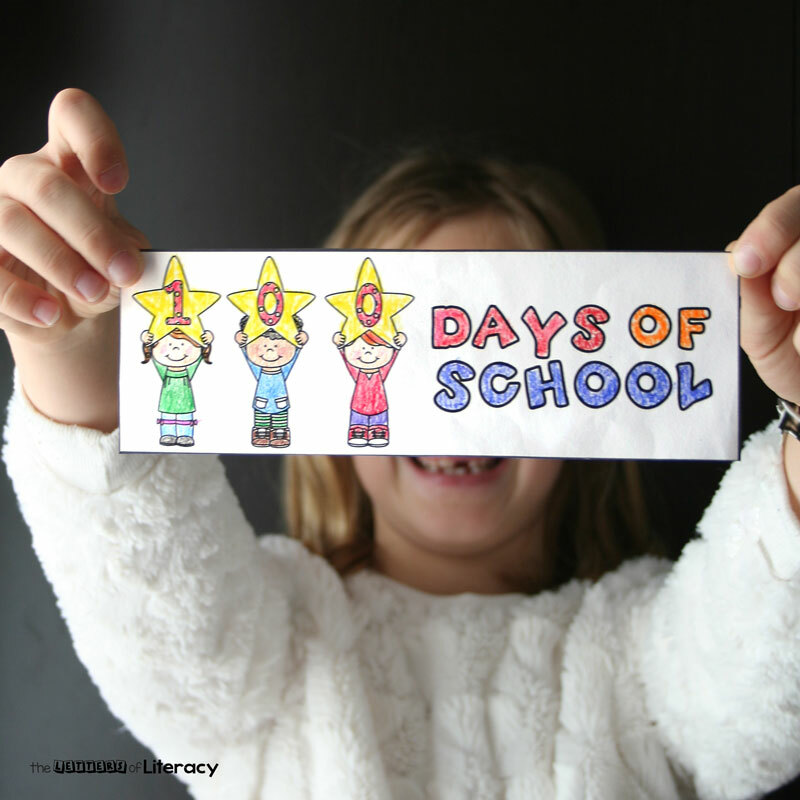 Download your copy of the 100 Days of School Bookmarks by clicking the blue button below. 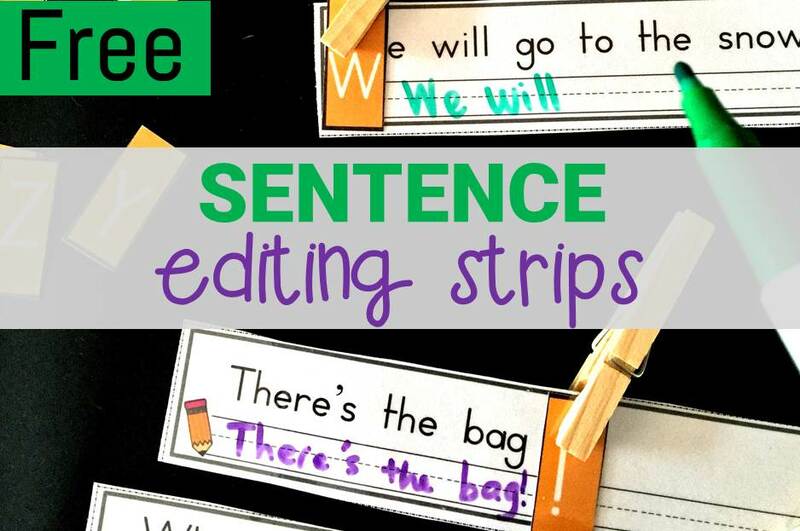 Then, if you are ready for more reading fun, hop over and try these sentence editing strips!